There’s just something about little hands and feet that make me go all melty inside. To that end, I wanted to take the handprint heart valentines that seem to be popular every year and put my own spin on them. 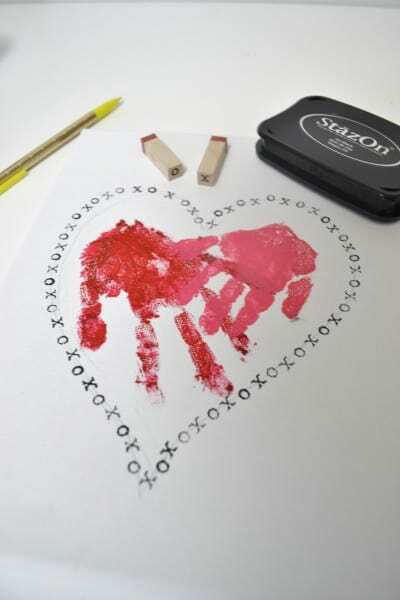 Step 2: Once you have your “heart,” outline it with a pencil so you’ll have a guide for your “xo” stamps. Step 3: Carefully stamp around your outline. Once dry, you can go back and erase your pencil marks. 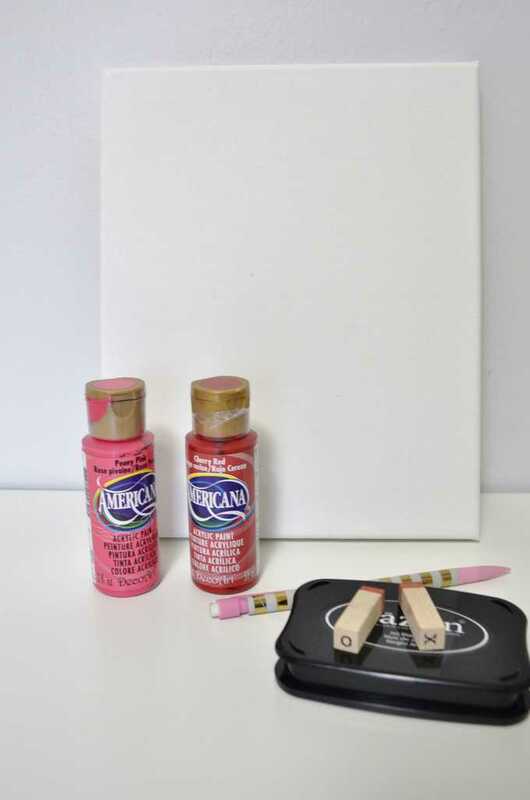 Add in the date, and, lastly, cover the sides of your canvas with washi tape. Easy, adorable, and, best of all, I had all the supplies already on hand! Thanks for reading all about my handprint heart valentine! Have a crafty day! What a great idea this is. I would love to make something like that for my parents from my boys. So sweet. Love the little Xs and Os all around the heart…that’s the perfect touch! What a sweet idea! I can see how this would be a terrific gift for grandparents/ etc. Of course, I don’t have any kids yet, let alone two- so I am quite a ways from being able to do this craft! I definitely know that both sets of my grandparents would have loved it for a gift when I was younger though, so I imagine it would still be a great gift for any grandparents or loved one. 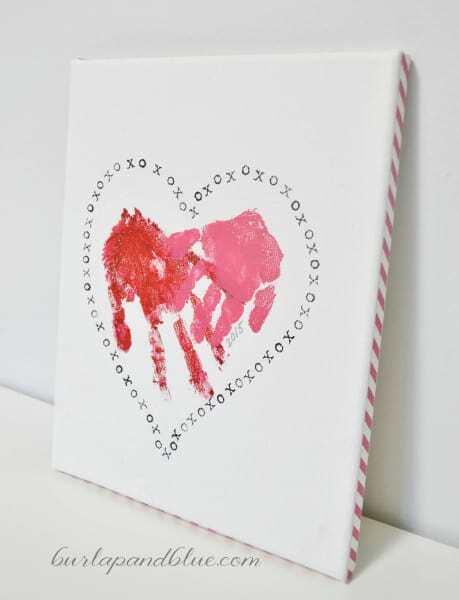 What a super cute twist on the handprint theme. 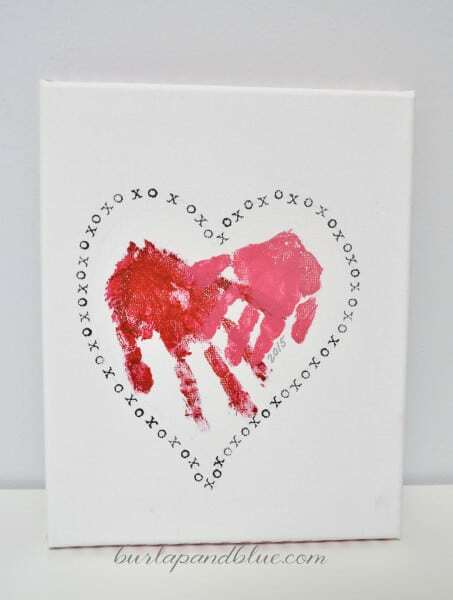 I love the xoxox around the handprints to give it a unique look. 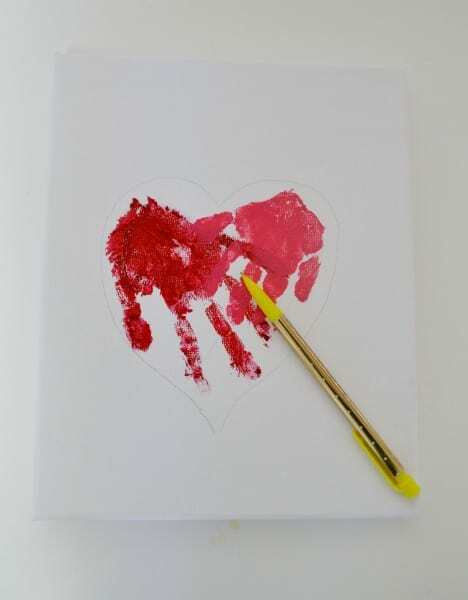 That’s so lovely – there’s something about our little ones’ handprints that is so special. I love that there are so many creative ways to use their hand and footprints each season too. We made mistletoes at Christmas. I LOVE this idea. I want to do this with my son (He’s 3.5) for his grandparents. I love making things out of his hand prints or footprints. I would have never thought of using a stamp to make the outside heart. What a great idea. I know one Great Granny who would love to get one of these from my nieces little girl!! WOW, the grandparents are going to go ga-ga over that handprint artwork! I love it myself! But they will FLIP! This is an adorable craft to do with kids! I love these handmade gifts, especially for Valentine’s Day. They are just so special and memorable. I would love to do this with the kids for the holiday and surprise someone with it. 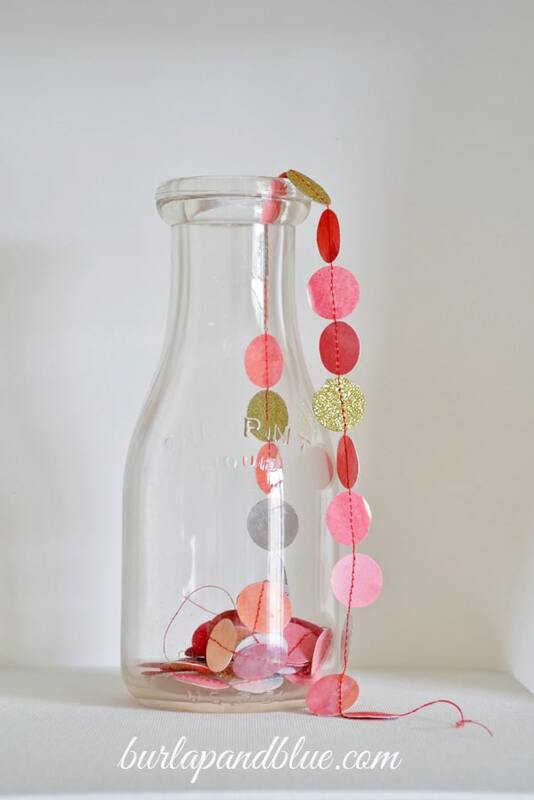 Thanks for sharing this wonderful and at the same time very easy craft! This is so adorable. I love making DIY projects to give as gifts and for my new home. My mom would really love to get one of these for Valentine’s Day and it looks like something we could make. Im going to check out the other ideas as well. I was up till 2 am sewing and stuffing fabric hearts to make a heart garland. It’s sweet and I’m ready for my next Valentine’s Day DIY project. 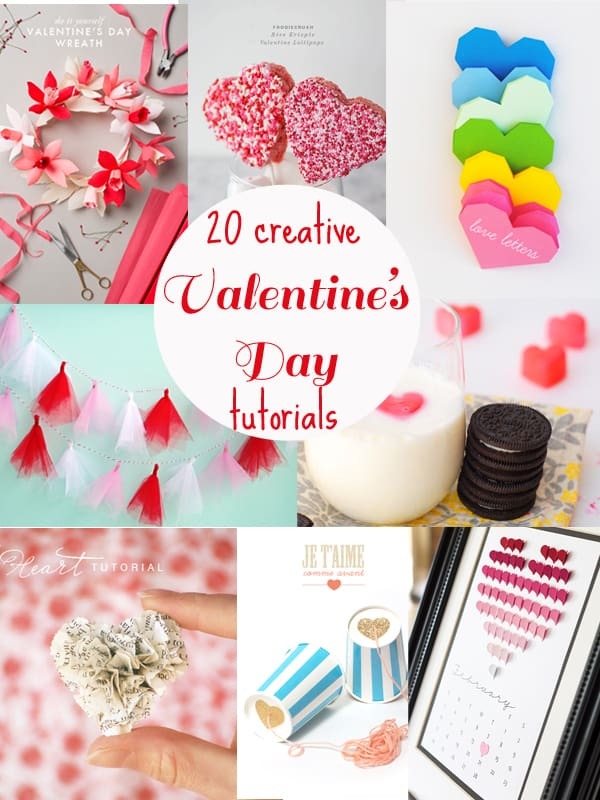 This is an adorable Valentine’s idea! So clever and looks very nice once it was complete. Nice work!! Super duper cute! 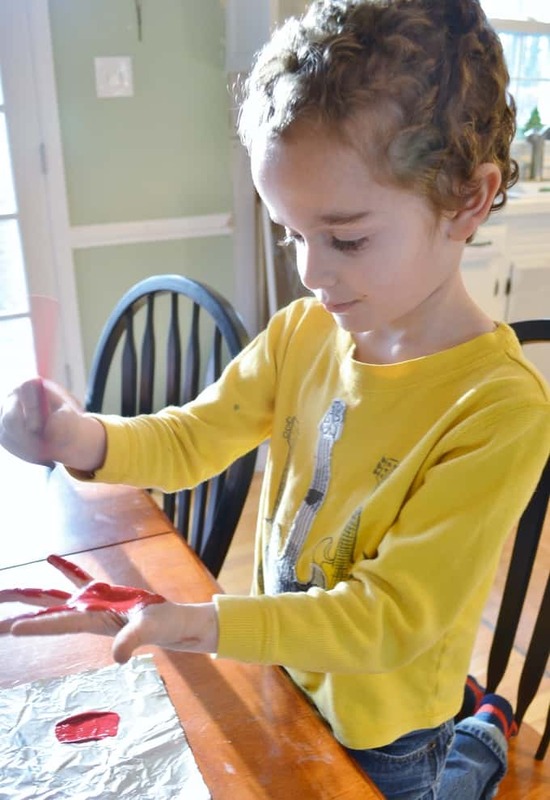 A great project to get the kiddos involved it! This is a really cute craft! Some kid crafts can wind up looking cute, but a little cheapy… You really dressed this one up, and it looks great! Such a great idea. When My kids were little I made angels out of their hand prints (so the hands were the wings). I sent them to my MIL and she loved them. This is also a great idea. Thanks for sharing. Ok, that is beyond sweet. What a super heart day gift idea! That came out so cute! Little hands grow too fast. This is a great way to capture them! Hand painted items are always a personal gift. This would be a great for valentines day. YES! This is amazing, this would be such a great home decor to do with the kids. I may just have to do this, I have tons of paint. We have done crafts like this for Thanksgiving & Christmas, never thought of doing it for Valentines Day. Pinning!! Tgis is such an adorable idea and something to cherish through out the years. I’ve been wanting to do door decorations for each holiday for my boys. I just have yet to do so, maybe now would be a great time to start and give this one a try.